CINCINNATI -- Students are stretching their creative muscles with a long-running educational nonprofit. Greater Cincinnati youths will compete against others from around the state this Saturday in the 2016 Destination Imagination Ohio Affiliate Tournament. Talawanda is one of eight Greater Cincinnati school districts to be represented in the event, which features a variety of challenges designed to encourage problem-solving and teamwork. Three teams from the district will compete in the tournament. “We usually have one or two, so three is a larger number for us,” said Jessica Moore, coordinator of gifted services for Talawanda Schools. Destination Imagination, which was incorporated in 1982, aims to teach preschool through university-level students to use the creative process while applying 21st-century skills. The international education organization has 150,000 participants each year, coming from 48 states and 30 countries. While the state competition takes place in the spring, students have been preparing for it since early in the school year. In autumn, students form teams of two to seven members and choose from six themed, academic challenges. Challenges for kindergarten through 12th-grade students fall into categories including technical, scientific, engineering, fine arts, improv and service learning. An early learning, or rising star, category also is available for preschool through second-grade students. Team members work together to develop solutions for the challenges, which might require anything from building a vehicle to building a structure that supports weight and can be used as a musical instrument. 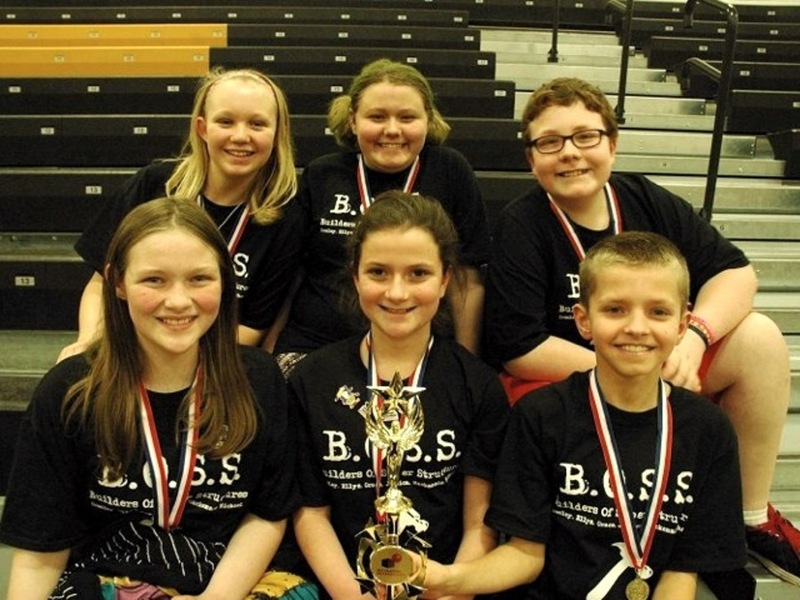 “The reason I like it is because the kids really have to work together as a team to solve their challenge,” said JoAnn Henderson, gifted services and Destination Imagination coordinator for Three Rivers Local Schools. Students compete in regional – and in some cases state and global – tournaments, illustrating their solutions through presentations, storytelling and musical and theatrical performances. In addition to the long-term challenges, students participate in instant challenges during tournaments. Teams are presented with a task, puzzle or problem, which they must solve in less than 10 minutes. 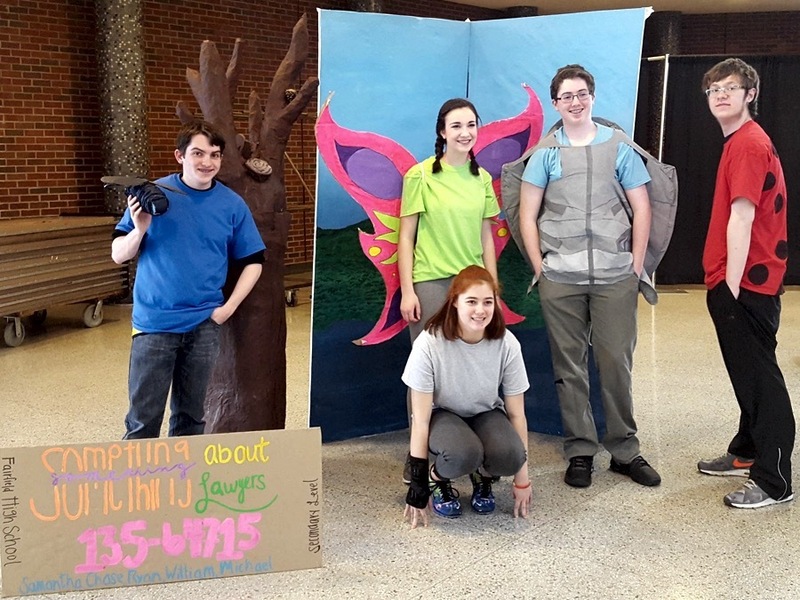 Fairfield High School's Destination Imagination team finished first at the Regional competition March 19, 2016. They, too, will take part in the state competition. As they work through the challenges, the youths learn about the STEAM (science, technology, engineering, art and mathematics) categories, but the impact doesn’t stop there. The creativity and problem-solving skills the program instills have been recognized by participants as well as third-party researchers. “For me, I felt like it empowered me to feel like I could solve any problem,” said Christine Westendorf, Destination Imagination coordinator for Lakota Local Schools. Westendorf, who participated in Destination Imagination as a student in Fairfield City School District, stepped up to coordinate the program in Lakota so her children would have the same opportunity. In studies done by individuals at the University of Georgia and the University of Virginia, students who participated in Destination Imagination outperformed those who did not in creativity and problem-solving. Students’ imaginative ideas may not always turn out as they envision, so it’s not uncommon for a solution to take more than one try. “You’d really need problem-solving, say, if the cable broke that was a big part of your script,” said Charles Murray, a fifth-grader on Talawanda’s ID 10 TZ team. Because the students’ inventions and solutions aren’t always successful, the program helps instill that persistence and perseverance are key components of the problem-solving process. “I think they have a little bit more tenacity to work on things and not give up,” Moore said. Although adults coach the teams, they aren’t allowed to interfere in any way. “You can just be there to kind of make sure they’re doing things that are safe and appropriate and following the rules,” said Lisa Fish, Destination Imagination coordinator for Mason City Schools. The program also helps kids learn about themselves and recognize their strengths and weaknesses, said Heather McGuire, Destination Imagination coordinator for Mariemont City Schools. A student may learn through a challenge that he is not a natural leader but has a strong creative side. Another student might find that her strength isn’t in script-writing but in building structures. “All of these parts of who they are come together to make this really brilliant whole,” McGuire said. Students on Talawanda’s ID 10 TZ team have developed a workflow that allows students to contribute their unique talents working on different parts of their project. Working together with complementary talents and abilities helps the youths learn teamwork skills, while developing their skills in areas where they aren’t as strong. “I think it really strengthens some of their weaknesses, and I think it also empowers their strengths even more as far as their skills are concerned,” Henderson said. The teamwork skills and confidence students gain carry over into other areas of participants’ lives, said Debra Davidson, who coaches a team from Little Miami Local Schools. It’s common for students to see improved presentation scores in school after participating in Destination Imagination, she said. She even has seen growth from her own children since starting the program. The 2016 Destination Imagination Ohio Affiliate Tournament will be held Saturday in Mount Vernon. The top winners from the event will be among approximately 1,400 teams to compete in the Global Finals in Knoxville, Tennessee, in May.